TopJTAG Flash Programmer, TopJTAG Probe. 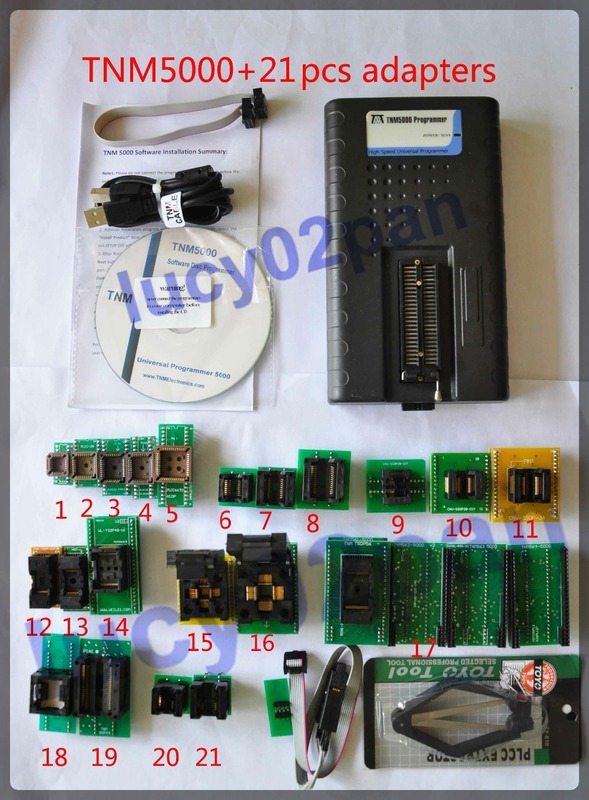 MX25V1635F is added to Model 2000+ / Model 5000.
uPD78F0531 / uPD78F0532 / uPD78F0533 / uPD78F0534 / uPD78F0535 / uPD78F0536 / uPD78F0537 / uPD78F0544 / uPD78F0545 / uPD78F0546 / uPD78F0547 are added to model 5000.
w25n01gv serial nand flash is added to model 5000: Read time less than 2 minutes, write time 140 second. Upd78f0836 / upd78f0837 / upd78f0838 / upd78f0839 / upd78f0840 / upd78f0841 / upd78f0842 / upd78f0843 / upd78f0844 / upd78f0845 / upd78f0846 / upd78f0847 / upd78f0848 / upd78f0849 / am27c400 are added to model 5000. Mc9s08ac96 / mc9s08ac128 are added to model 5000. Nec upd6252 / upd6253 / upd6254 are added to model 5000. Zeta zd25d20 / zd25d40 ,zbit zb25qh64 / zb25qh128 are added to model 2000+ / model 5000. Mc9s08f16 / at89lp51rd2 / at89lp51ed2 / at89lp51id2 are added to model 5000. Version 10.04 - Oct 4 2017 : PIC12F1571 / PIC12F1572 / PIC12LF1571 / PIC12LF1572 /25D80ATIGT are added to Model 2000 / 5000. FM25V01 , FM25V02 , FM25V05 , FM25V10, FM25V20 , FM25V40 are added to Model 5000. W25M02GV Serial Nand Flash is added to Model 5000. STM32F301C6 / STM32F301C8 / STM32F301K6 / STM32F301K8 / STM32F301R6 / STM32F301R8 are added to Model 5000. DS1302 RTC Via ISP is Added to Model5000. GD25Q32 Security bug is removed. W25N01GV,W25M02GV Unique Id , Realtek RTD22xx , MC9S12E256 , STM32F103C6 , STK15C88 are added to Model 5000.